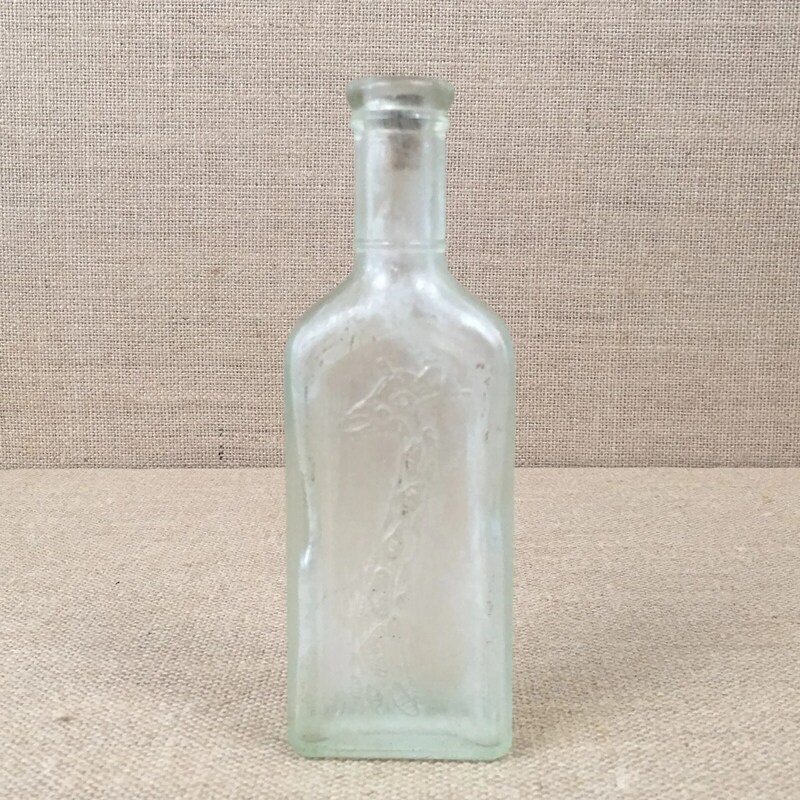 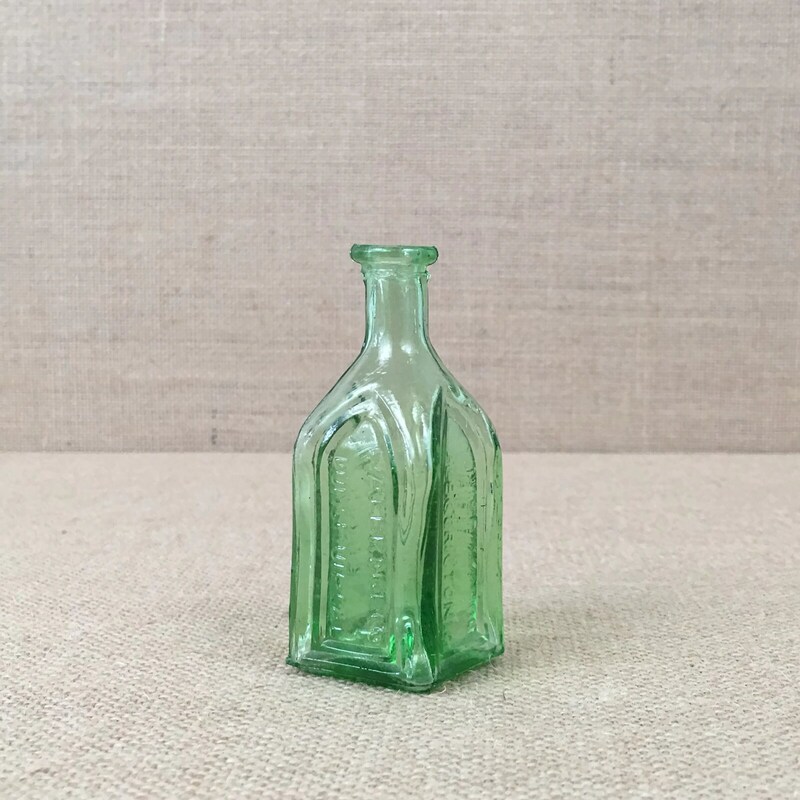 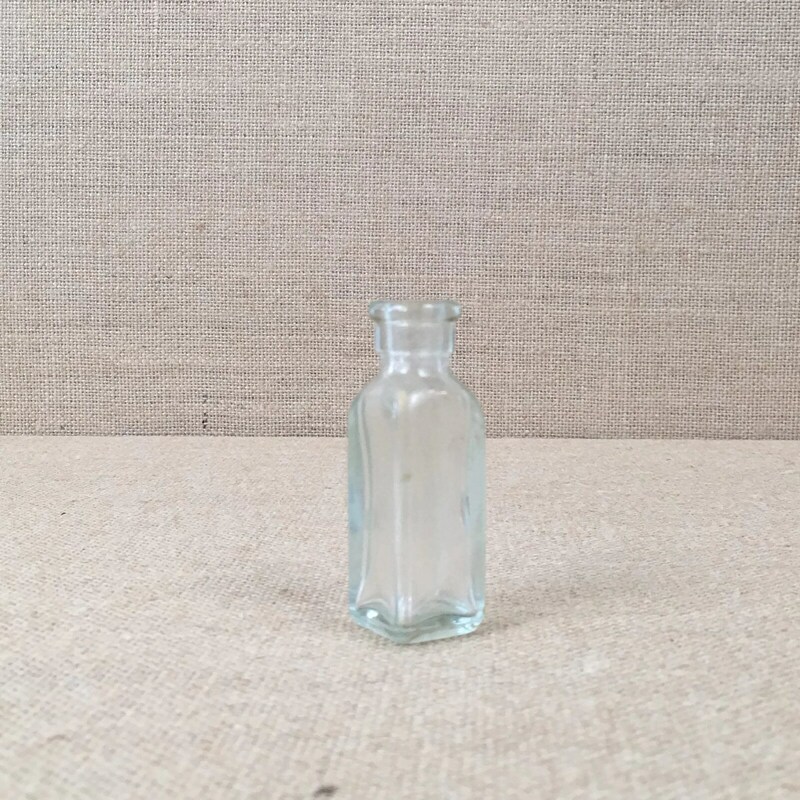 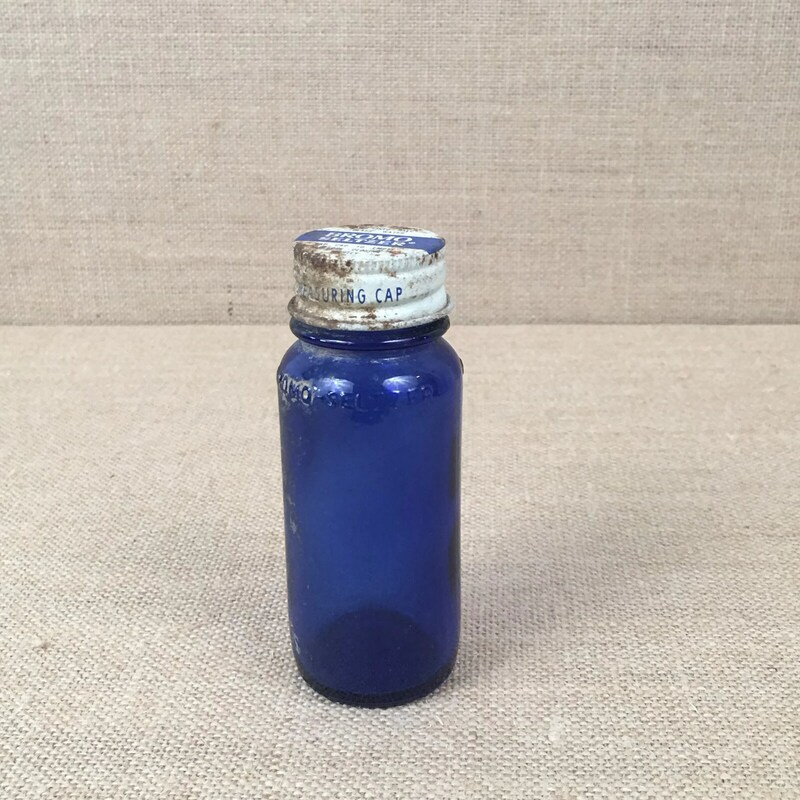 Vintage set of 5 glass bottles in varying size and color. 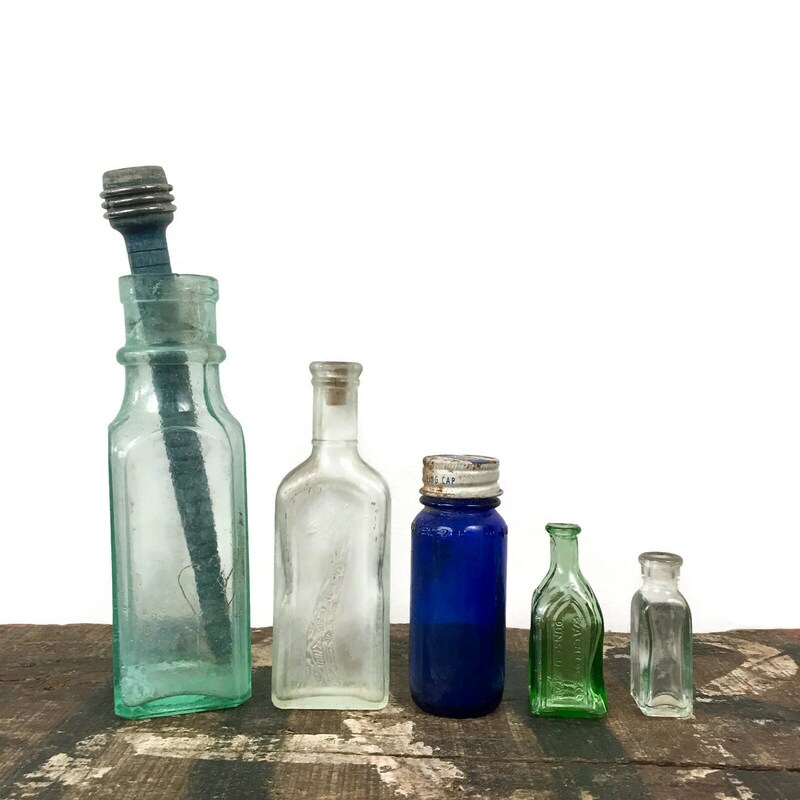 Tall aqua bottle is unmarked; glass "giraffe" bottle has a cork and is marked "Tonsiline"; blue "Bromo Seltzer" bottle has rusted metal cap; small green glass "Chief Wanoo" bottle has a broken corner on the bottom; fifth bottle is unmarked. 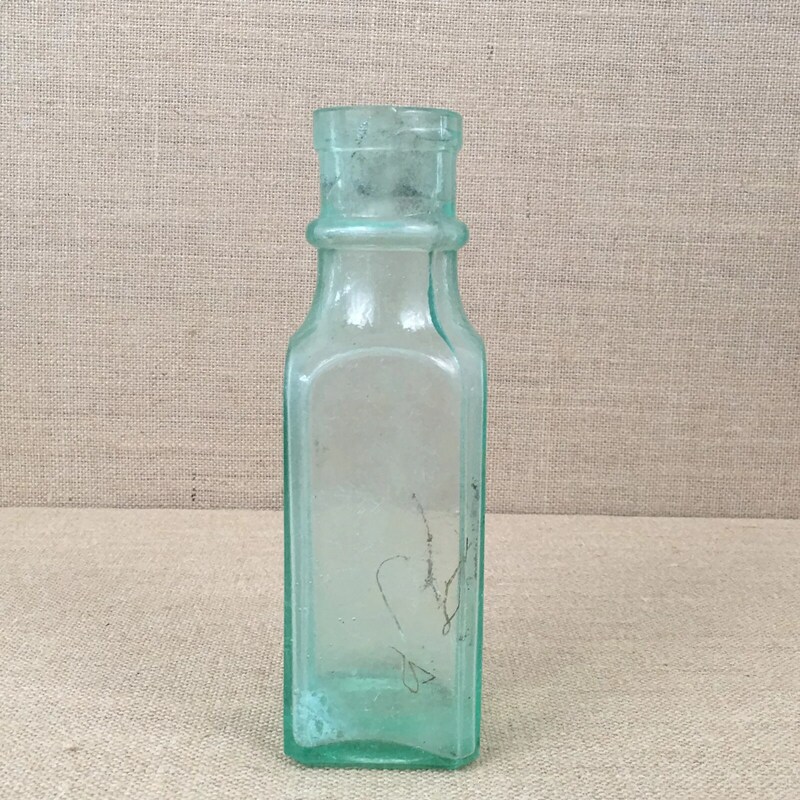 + Combined weight is 1 lb., 6 oz.